Lori is a Fellow of the Litigation Counsel of America, an invitation only-trial lawyer Honorary Society; membership is limited to 3,500 Fellows, representing less than one-half of one percent of American lawyers. Lori was named to the Leading Women Lawyers in New York by Crain's New York Business. Lori has been consistently named to the New York Super Lawyers list, a Thomson Reuters lawyer rating service, since 2013. 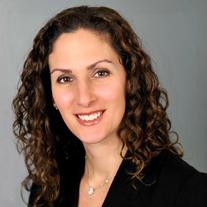 Lori was named for inclusion to the New York Super Lawyers Rising Stars list for 2012. Lori was named one of The Top Women Attorneys in the New York Metro Area by Super Lawyers. Practice Group Leader Lori Marks-Esterman is an experienced commercial litigator representing private and public companies in complex corporate disputes. Lori is the chair of Olshan’s Litigation Practice Group, and is a seasoned trial attorney with 20 years of experience in litigating complex, commercial disputes. Lori represents a wide-range of clients, including hedge funds and private equity companies, shareholder activists, real estate developers, and other private and publicly held companies. She has significant experience in a broad array of corporate litigation matters, with an emphasis on shareholder and investor disputes, merger and acquisitions litigation, director and officer liability, real estate related disputes, and actions involving breaches of major and complex contracts. Lori also has significant real estate litigation expertise, and was quoted extensively in The Real Deal’s article entitled “The Judges Who Rule over Real Estate.” She also has significant experience representing clients in business-tort cases and employment-related claims, including restrictive covenants, tortious interference with business, and unfair competition. Lori serves as a fellow of Litigation Counsel of America, an invitation-only trial lawyer honorary society recognizing the excellence among American litigation and trial counsel. Represented an affiliate of Forest City Ratner in the recovery of a $700,000 advance made to an electrical contractor, who later withdrew when the parties could not come to terms on a final contract. The Court awarded a judgment for virtually all of the amount advanced. The award provides protection for developers when wayward subcontractors do not return funds that are advanced. Represented IDX Capital LLC in a six-week jury trial in State Supreme Court in Manhattan after which the jury awarded IDX, and two of its former principals, $8.25 million, including punitive damages, against two former business associates whose actions doomed a potential $25 million buyout of the firm by Knight Capital Group Inc. Obtained reversal from the First Department for a major restaurant franchisee on claims of apparent authority relating to the real estate owner’s operating agreement. Negotiated a multimillion-dollar settlement for a managing director terminated from a private equity firm. Represented an inter-dealer broker and its executive in massive business tort action involving computer hacking and corporate espionage. Prosecuted claims of fraud and breach of fiduciary duty on behalf of a real estate developer against the developer’s partners. Negotiated a favorable resolution for ground lessor stemming from lessee’s failure to maintain premises as first class boutique hotel. Achieved a favorable resolution through mediation of securities fraud claims in connection with a multimillion-dollar private placement investment. Successfully prosecuted breach of employment claims for a public company against its former CEO who maliciously disseminated confidential and attorney/client privileged information. Represented a minority owner of an apparel company in multimillion-dollar buyout seeking appraisal rights in which the client ultimately received a favorable settlement. Defended executive against claims of RICO violations, fraud, unfair competition, tortious interference, Federal Computer Fraud and Abuse Act violations in separate actions, and successfully obtained dismissal of all such claims. Represented a ground lessor in prosecuting claims against the ground lessee for violating the lease, and successfully negotiated resolution of those claims. Litigated claims on behalf of a sponsor in a dispute following a complex "cond-op" conversion, which resulted in successfully amending the Condominium Declaration and Proprietary Lease. Defended a real estate developer against claims of estoppel and fraud in connection with a restaurant project on Hudson Street, achieving successful settlement of all claims in advance of trial. Arbitrating an employment raiding case before the NASD between two large financial institutions.